We create custom labels for unique sizes, shapes and applications. Have a client with a unique label need? We can help you meet it! Over 50 years ago we started National Printing Converters (NPC), before digital, before laser printers, before thermal labels and well, before Nixon! Today the business name is the same, but our website reflects the core of our business, National Custom Labels. Since those early days our business has focused on one area: Developing Custom Labels to meet the unique needs of our clients. We know that you run into clients who have label needs that far exceed the capabilities of stock labels, perhaps you have turned this business down in the past? Today, with National Custom Labels you have the opportunity to earn revenue from these orders, expand into new clientele and grow your business by working with National. 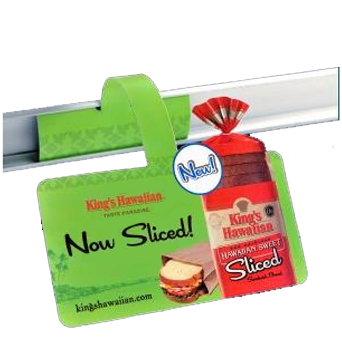 We offer a wide range of custom labels and tags available in a variety of sizes and shapes. Custom labels available in an endless combination of adhesives and face stocks. Our custom labels and tags process on all major print technologies. Custom labels on a roll, sheet, or piece. Thermal Transfer Ribbons are available, as well! If you have a custom label need, we can fulfill it. Why Work With National Custom Labels? Scientific process with professional collaboration! We work with you to define your exact requirements then get to work using our process developed over 50 years to create the custom label you were looking for. If you desire we will stay completely invisible to your clients with absolutely brand free communications and delivery of your custom label products. You’ll have a dedicated product manager and you can connect with our support team online or good old fashion phone any time you wish to discuss your label project. Centrally located in Indiana, once your order is complete it will be shipped immediately. Want to know the status of your order? Connect with us via chat or call us for the latest status.